On 23 October 2018, Bruno Le Maire, French Minister of Economy and Finance, addressed the European Parliament in order to reach a temporary agreement to tax tech giants in Europe. In the past months, France and the EU have taken a number of measures to tackle the issues raised by the digital revolution and the ever-growing influence of tech companies. Be it through the "General Assemblies for new digital regulations" in France, the General Data Protection Regulation (GDPR) at the European level, or even more specific measures such as the "fake news" bill, American platforms are being challenged by French and European legislations, which are trying to evolve rapidly in order to adapt to the new information and communication environment. 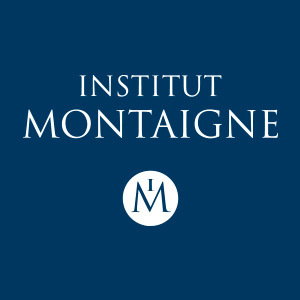 Institut Montaigne reviews these recent evolutions. France is one of the main voices among EU members to advocate for the implementation of a European digital tax targeting tech giants, such as Google, Amazon, Facebook, or Apple. According to Bruno Le Maire, this measure is of paramount importance to safeguard the European Union’s tax justice and economic sovereignty. On 23 October 2018, he reaffirmed before the European Parliament that the EU could not tolerate that tech giants pay 14 percentage points less than other business in taxes. Especially given that these firms have an estimated 14% average annual growth rate, compared to 3% for other multinational companies. GAFA have an estimated 14% average annual growth rate, compared to 3% for other multinational companies. This is why the European Commission, pushed by the French government, proposed to set a 3% transitional turnover tax rate on the "GAFA"'s revenues from advertising and sales in European countries. Bruno Le Maire wants the EU to reach an agreement on this matter before the end of the year, as he knows the regulation will need to change in the near future. He indeed proposed to introduce a "sunset clause", whereby this agreement will be replaced by an international one once OECD members agree on a more sustainable alternative. This provision should convince reluctant European countries who fear commercial retaliation, such as Ireland, to be part of the agreement. Technology behemoths such as Google and Facebook have already been hit last May by Europe’s General Data Protection Regulation (GDPR). This new regulation harmonizes data processing within the European Union, and enables European citizens to supervise the use tech companies make of their private data. European regulators now have the power to launch actions across the EU and to fine companies up to 4% of their global turnover in case of non-compliance. In France, the National Commission on Informatics and Liberty (Commission nationale de l'informatique et des libertés, CNIL) is in charge of implementing this new regulation. More recently, on 12 September 2018, the European Parliament backed the EU new copyright directive it had first dismissed in July. This guideline was necessary to adapt copyright to the digital era. Emmanuel Macron encouraged MEPs to support this project, and declared that "protecting creation and information is to secure our freedom and defend our model". The text’s main articles, concerning "neighboring rights" (Article 11) and copyrights on digital platforms (Article 13), were fiercely debated. The first compels media companies to ask digital platforms for royalties when the latter diffuse content the former produced (this, however, does not apply to hyperlink citations). The first article compels media companies to ask digital platforms for royalties when the latter diffuse content the former produced. Article 13 originally stated that digital platforms should design filters to automatically delete content violating copyright. It was amended to recommend instead that tech giants and cultural industries negotiate in good faith over content posted online. Both regulations will make it more difficult for these companies to profit from the use of data and free circulation of content on which they thrive. Things could get worse, as debates on how to deal with these platforms are still ongoing, as shown by Bruno Le Maire’s intervention before the European Parliament. In parallel, during the VivaTech forum in May 2018, Emmanuel Macron called for the creation of an international framework to regulate digital companies’ activities. Following this announcement, France launched the "General Assemblies for new digital regulations" in July, in order to develop the French and European digital strategies in the coming decade. This reflection focuses particularly on competition within the digital sphere, and on issues raised by the intense collection of data by private companies. This reflection focuses particularly on competition within the digital sphere, and on issues raised by the intense collection of data by private companies. A first series of measures will be unveiled before the Internet Governance Forum in November 2018, to structure the French and European contributions to the international debate. The "General Assemblies" will produce another set of proposals, which will be presented to the European Parliament and to the European Commission in January 2019. Finally, at a local level, France’s government also pledged to overcome disinformation on social media and digital platforms. This will directly impact tech companies and the decisions they take about the content they host and circulate online (see for example Tarleton Gillespie’s book Custodians of the Internet: Platforms, Content Moderation, and the Hidden Decisions That Shape Social Media). Following the "Macron Leaks" that took place at the very end of the 2017 French presidential campaign, French MPs agreed on 4 July 2018 on a bill to limit the spread of disinformation (the Senate still needs to validate the text, the next discussion session taking place on 6 November 2018). This bill addresses specifically the influence of foreign media and the role of digital platforms in the spread of disinformation on social media. It aims at empowering the Superior Council of the Audiovisual (Conseil supérieur de l’audiovisuel, CSA) by granting it the ability to suspend any foreign media interference in the "fundamental interests of the Nation" during the electoral period. Judges will also be empowered to discern whether an information is to be regarded as a "fake news", a term that is still being defined. They would have 48 hours to take this decision. By François Jolys for Institut Montaigne.